Would it be possible to add a "clear" event port on the console ? When using it to debug long stuff, be able to clear it would be handy without having to restart the composition ? 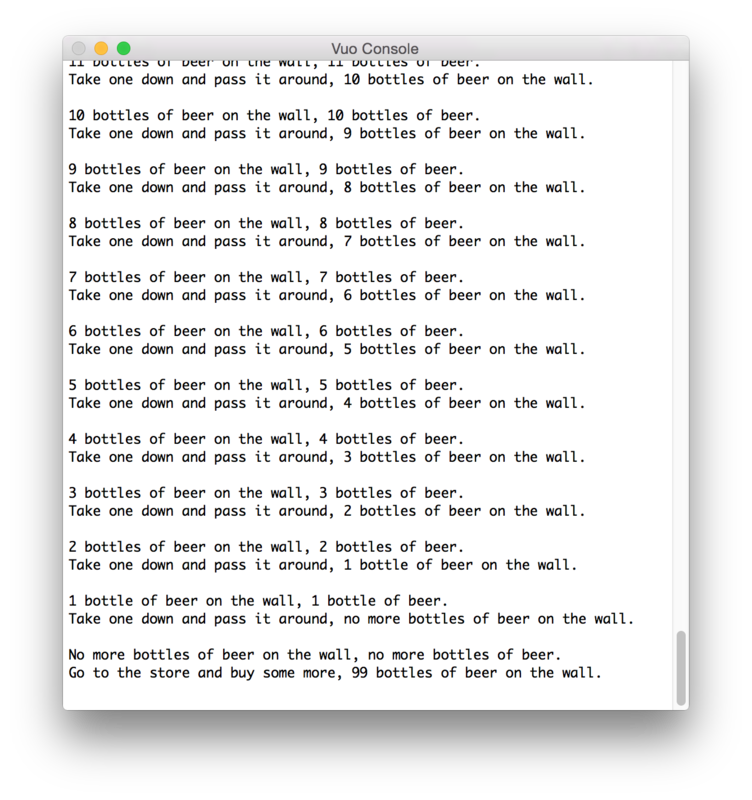 Generates the lyrics to "99 Bottles of Beer on the Wall". Hey there, thanks for checking out Vuo. I'm Travis; in this tutorial we'll create a composition that utilizes a feedback loop in order to count upward. This is our composition in complete form (all nodes linked together), and this is our feedback loop (between Hold Value node and Add node). First we'll run this composition and get a visual for what it creates, we'll walk through what some of the nodes perform in the composition, then we'll delete it and build the composition together, step by step. So let's go ahead and run it (click "Run" button).